Right from the start the small company fell victim to the rivalry between the large companies. It was formed as the Shrewsbury & Wolverhampton, Dudley & Birmingham Railway in 1844, at a time when many similar companies were scrambling for the right to build their own lines. 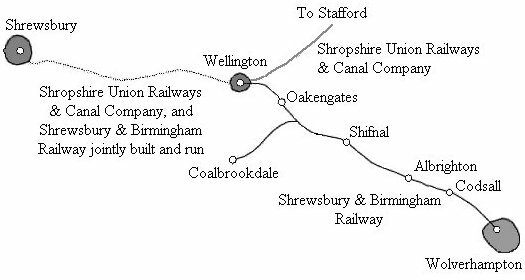 The plan was to build a line from Shrewsbury to Wolverhampton, with junctions to Coalbrookdale, the Grand Junction Railway at Wolverhampton, and to Dudley. The route from Wolverhampton continued to Birmingham via Bilston, Darlaston, Wednesbury, West Bromwich, and Smethwick. They quickly formed an alliance with the London & Birmingham Railway who saw them as an alternative route to the north. Although the interests of the London & Birmingham Railway and the Grand Junction Railway were substantially the same, both companies thoroughly distrusted each other and quarrelled over the London & Birmingham's Trent Valley line, and the Grand Junction's claim that Shrewsbury was within its territory. The London & Birmingham looked favourably on any scheme that could loosen its dependence on the Grand Junction. When submitted in 1845, the original bill was thrown out, mainly because of the opposition from a pro Grand Junction MP. New plans were hastily prepared in readiness for Parliament in 1846. Robert Stephenson surveyed the line on horseback, and completed the task in September. At Stephenson's insistence, William Baker was appointed as Company Engineer. The route finally followed by the Shrewsbury & Birmingham Railway. The company changed its name to the Shrewsbury & Birmingham Railway in January of the following year, but the first half of 1846 was a difficult year for the railway. The Grand Junction Railway and the London & Birmingham Railway were pressurised into forming an alliance by their joint shareholders. When the two companies began to work together the London & Birmingham withdrew its support for the Shrewsbury & Birmingham, which meant that it instantly lost the quarter of its capital which had been promised by the London & Birmingham Railway. The new bill was put before Parliament in June, but wasn't successful, mainly because the company was now under-funded and there were 16 other schemes being considered for the same area. On August 3rd authorisation was given for a modified route. The Shrewsbury & Birmingham could construct a line along the nineteen and a half miles from Wellington to Wolverhampton. 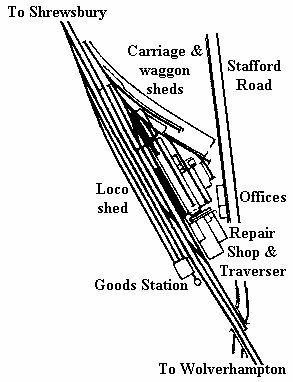 The first ten miles from Shrewsbury to Wellington would be shared with the Shropshire Union Railways & Canal Company who were to build a line from Stafford to Shrewsbury, via Wellington. The Shrewsbury & Birmingham were also given a quarter share in the Stour Valley line, and were given running powers over it so that they could still reach Birmingham. In 1847 they also got permission to build a branch from Madeley Junction to Coalbrookdale, which would give them access to Madeley Iron Works. Shropshire Union Railways & Canal Compnay. The track layout and signalling was designed by Robert Stephenson and Henry Robertson. The buildings were designed by Thomas K. Penson. Shrewsbury station, which opened on 12th October 1848. The land for the line between Shrewsbury and Wellington was all purchased by 19th September 1846, and work soon began. With William Baker in charge work proceeded both on the joint section and the Oakengates tunnel. There were no great engineering difficulties on the joint section other than two bridges across the River Severn. This first section was completed in 1849, and trains began running on 1st June, but construction on the eastern section was delayed due to difficulties with the 471yard long Oakengates tunnel. The viaduct over the River Severn on the approach to Shrewsbury Station. The wet summer of 1848 had also slowed the work down, and in that year Edward Banks who was Wolverhampton's leading architect was appointed to design and oversee the erection of the company's buildings. The line approached Wolverhampton via Oxley Hill, and around the eastern side of Dunstall Hill to Oxley Viaduct. Workshops, offices, locomotive sheds, and a goods station were built at Stafford Road. Cleveland Road premises. The railway finally opened on 12th November 1849. When the section from Shrewsbury to Wellington opened on 1st June 1849 the railway began to run trains to and from Oakengates. Monday to Saturday, 4 trains each way. Departures from Shrewsbury at 6.45a.m., 9.35a.m., 4.15p.m., and 6.45p.m. Departures from Oakengates at 8.45a.m., 2.15p.m., 5.15p.m., and 8.15p.m. The first and last trains were first class only, the others were all classes. The journey took 40 minutes. Only two trains ran on Sundays. Oakengates station was a typical Edward Banks design, built in the same brick as Wolverhampton's High Level Station. were at Stafford Road. 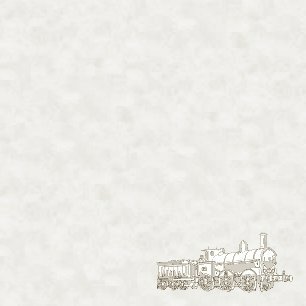 On 12th November the eastern section from Oakengates to Wolverhampton opened, the inaugural train had 50 carriages and was hauled by 2 locomotives; Wrekin and Salopian. Passengers wishing to go to Birmingham had to get there via Wednesfield Heath station as the Stour Valley line from Wolverhampton's High Level station was still not complete. It would be another 5 years before Shrewsbury & Birmingham trains could use their rightful route to Birmingham. The frequency of the service was increased to nine trains each way daily, but access to the Stour Valley Line wasn't granted until 4th February 1854. Initially much work on the line still had to be completed, and even when the line was opened on 1st July 1852 only London & North Western Railway trains ran on it for nearly two years. The times of these trains were such as to make connections with Shrewsbury & Birmingham trains as inconvenient as possible, the average waiting time was 20 minutes, and the total journey time from Shrewsbury to Birmingham was 2hours and 10 minutes. The extreme differences and distrust between the two companies meant that the London & North Western used every delaying tactic possible to prevent the Shrewsbury & Birmingham from achieving its goal. Eventually when they were allowed to run their trains into Birmingham New Street, it was only to last for ten months. The last Shrewsbury & Birmingham train ran on the Stour Valley Line on 13th November 1854 by which time they had amalgamated with the Great Western Railway, whose line from Wolverhampton Low Level to Birmingham New Street opened on 14th November. 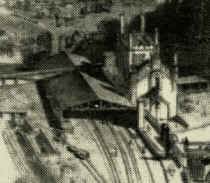 From then on their trains used the Low level station, even though work on it was not yet complete. As early as December 1847 the Shrewsbury & Birmingham Railway made an approach to the Great Western Railway, as cooperation between the two companies would be mutually beneficial. This was politely turned down, but on 10th January 1851 a traffic agreement was signed between the two companies which led to an offer to amalgamate. This was ideal for the Shrewsbury & Birmingham who had long suffered the wrath of the London & North Western Railway, who themselves were bitter enemies of the Great Western. 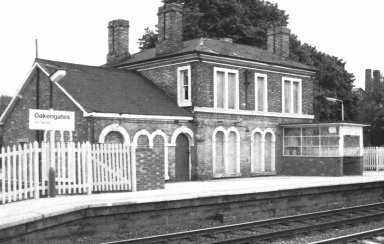 The Shrewsbury and Birmingham also had a third share in the Wolverhampton Low Level station, along with the Oxford Worcester & Wolverhampton Railway, and the Birmingham Wolverhampton & Dudley Railway. This was allowed under an Act of Parliament passed on 14th August 1848. The Shrewsbury & Birmingham finally became a part of the Great Western Railway on 1st September 1854.